Injury Law Center | Hayden I. DuBay, Attorney At Law | If you have questions, we've got answers. YOU HAVE THE RIGHT to be restored to your previous physical, mental, and financial state, if possible. YOU HAVE THE RIGHT to be paid fair compensation for any irrecoverable losses and for your pain and suffering. YOU HAVE THE RIGHT to the repair or replacement of your vehicle or other personal property damaged or destroyed in the accident. As a victim of a car accident, medical malpractice, maritime or commercial fishing accident, bicycle or motorcycle accident, wrongful death, nursing home injury, pharmaceutical or defective product, you have rights. Most likely, you have questions, too. Should you get an attorney? How will you pay for your medical bills? Should you accept the offer from the insurance company? How would you pay for an attorney? If you have questions, the Injury Law Center has answers. 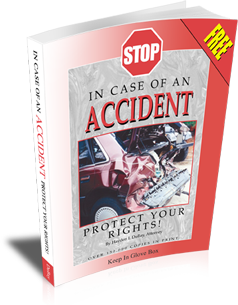 In fact, we have written a book that you can download for free that will provide you with the basic information you need in order to protect your rights if you have been in an accident. Whether you have been injured on land, at sea, or on the job, get answers now by watching our videos for straight talk that can make the difference on whether you recover what is rightfully yours. The Injury Law Center provides answers – and results. Relying on our expertise—even a little bit—will almost always result in a larger settlement from an insurance company. Contact our office now for the answers you need and the legal representation that will help you get on with your life. 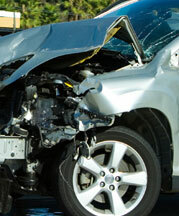 Our Virginia accident attorneys are available to explain the process and take the weight off your shoulders. Leave the worry to us. Our clients refer friends and family to us because we step in when you need us most. The Injury Law Center handles all the work and worry so you can concentrate on recovering from your injuries. Our Virginia personal injury attorneys work with you and your family to fight for what you need in court. Contact us now to put the power of the Injury Law Center behind you.